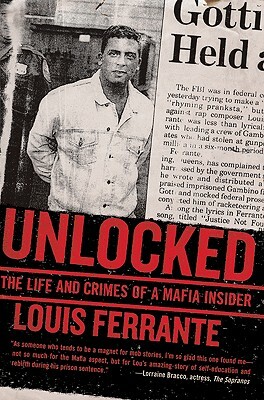 Louis Ferrante began hijacking delivery trucks at age seventeen, and New York's infamous Gambino crime family took notice. By twenty-one, Ferrante's Mafia connections had enabled him to pull off some of the most lucrative heists in history. But betrayals by close friends brought Ferrante a slew of federal indictments, and he would spend the next decade as an inmate in some of America's most notorious penitentiaries—with ample time to ponder life's essential questions: Who am I? What makes me this way? Do I have a purpose? In the prison library he embarked on an extraordinary journey of the mind that took him from history to philosophy to major world religions, from the art of writing to the law. And after successfully appealing his own conviction—in a case now cited in courtrooms across the country—Ferrante walked away from prison a writer and a profoundly changed man. Unlocked is a remarkable memoir of personal transformation—a true story that is shocking, brutal, inspiring, and unforgettable. Louis Ferrante was born and raised in Queens, New York. Unlocked is his first book.